Things have changed a lot in the last 20 years, especially in the fields of technology and engineering. Student populations, in particular, are much different than they used to be, and in order to meet the needs of a more diverse student population, more diverse teaching methods are required. Studies have shown that the vast majority of students require lots of hands-on learning to truly master course material. In fact, current research indicates that “students retain 10% of what they read, but retain as much as 90% of what they say as they do something.” This is why universities across the world are going to great lengths to develop portable labs, known as mobile studios, through which students can practice important concepts at home and on their own time. 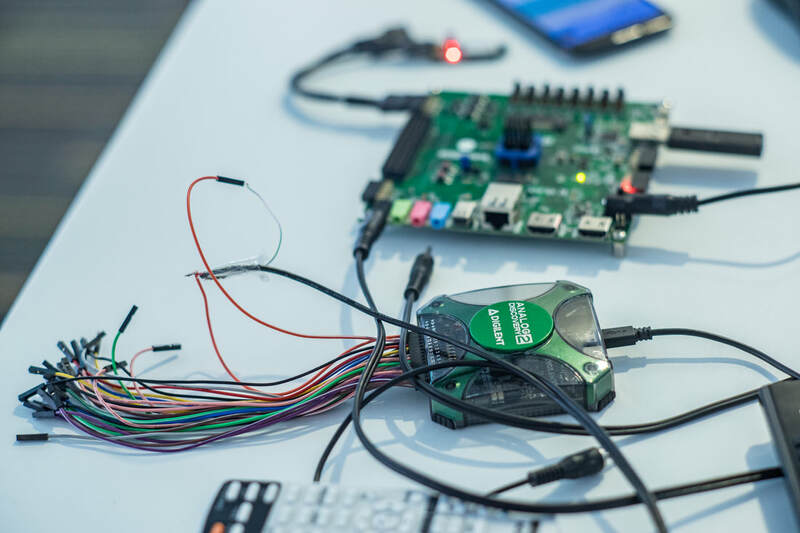 In the paper “Active Learning: Improving Student Learning using Portable Computer-Based-Test-Equipment,” Dr. Mihaela Radu and Dr. Mircea Dabacan discuss the use of the Analog Discovery from Digilent as a means of increasing experiential learning for engineering students. Below is a summary of that paper. Ohm’s and Kirchhoff’s Law, series and parallel connections, circuit mesh and node analysis, DC maximum power transfer, sinusoidal waveforms, average and rms values, phasors, R-L-C networks under sinusoidal steady state conditions, series and parallel resonance, complex power, passive filters, etc. -Student final exam scores increased by an average of 10 points. Also, it is important to note that “students who used the platforms at home got perfect scores in the lab practical exams.” Approximately 30% of students used the Analog Discovery platform at home. -Student final exam scores increased by an average of 8-9 points, and students who opted to take the Analog Discovery home and practice with it were among the top scorers. 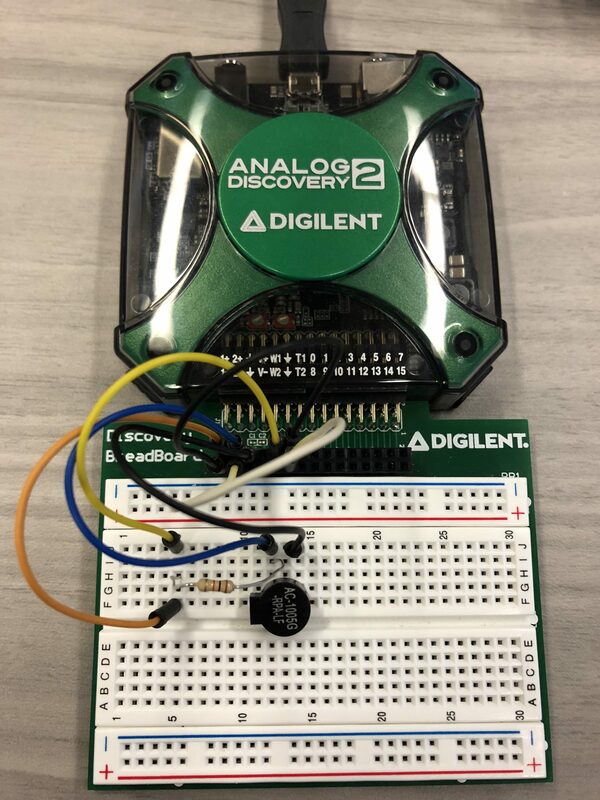 Approximately 30% of students chose to use the Analog Discovery 2 at home. Student surveys at the end of the course showed that students appreciated the use of the Analog Discovery 2, and felt that even more labs in future courses would be helpful. In conclusion, Dr. Mihaela Radu and Dr. Mircea Dabacan feel that “The Analog Discovery and recently Analog Discovery 2, manufactured by Diligent Inc., are perfect examples of portable, low-cost computer-based test equipment, enabling students to experiment with advanced technologies and to build and test real-world functional circuits.” They also conclude that “the variety of the hands-on laboratory exercises using the Analog Discovery platform helps students realize the impact of math and science in the Electronics Engineering Technology environment, and their intrinsic relationships to each other.” They also note that the Analog Discovery is an excellent substitute to the traditional campus lab, and that it solves the problem of students not being able to get enough practice with on-campus lab equipment. The main issue the university faced was getting all the students to return the Analog Discovery at the end of the semester. 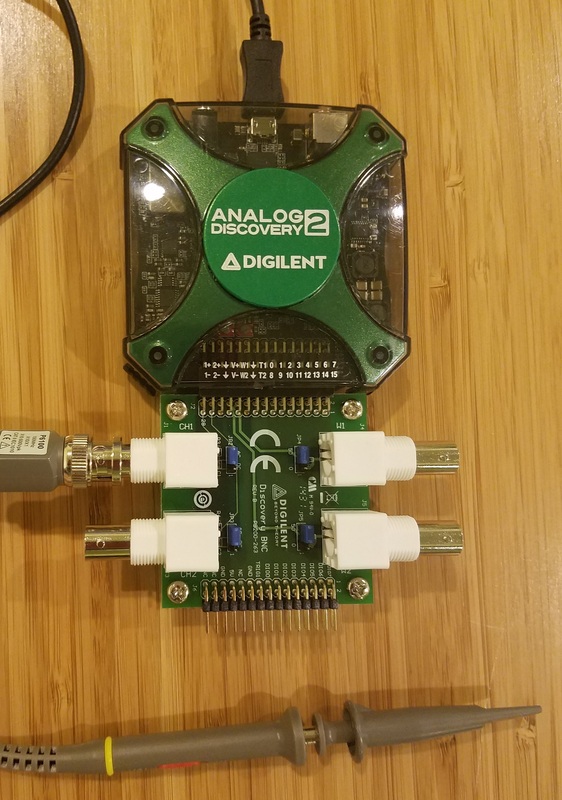 Overall, the very affordable Analog Discovery 2 from Digilent is an excellent way to increase experiential learning, increase student learning outcomes, improve freshman retention rates, and meet the ever-changing needs of a diverse student population. Use of the Analog Discovery 2 will continue to be expanded to universities around the world. Next Article 2018 Innovative Awards: Voting Open!